The Maritime Museum in Gdansk is the largest of its kind in Poland, documenting and popularizing Poland's maritime traditions as well as the evolution of her present-day maritime policies, economics, technology and culture. 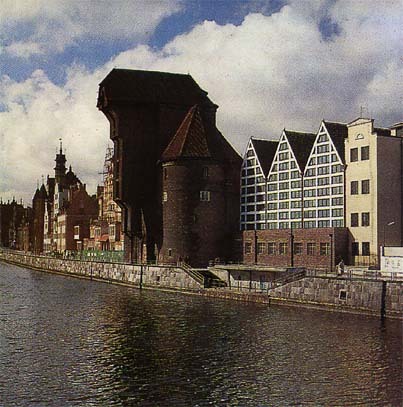 The idea of creating a maritime museum in Gdansk began to take shape in 1958. The exhibition "From the oar to atomic power" organized in the famous Artus Court in Gdansk In September of that same year was the beginning. The Museum formally came into existence on 1 October 1960, but it had to start right from scratch, having neither a collection nor a building to house it. 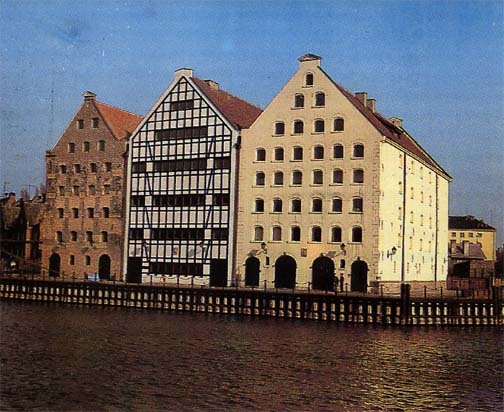 Now, the main buildings of the Museum are in the heart of the old port of Gdansk on the river Motlawa. 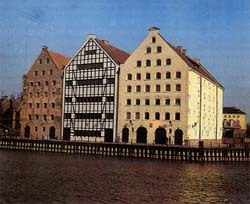 They include a number of typical port buildings situated on both sides of the river. On the right bank the Museum's organizers have reconstructed a group of granaries from the 15th-17th centuries, as well as about 200 metres of the adjacent quayside, where the museum ship "Soldek", the first steamship built in Poland after the Second World War, is now moored. On the left bank the Museum complex includes a medieval port crane and the adjacent burghers' houses adapted to the Museum's purposes. For the convenience of visitors, the Museum buildings on either side of the river are linked by the Museum's ferry, the "Motlawa". 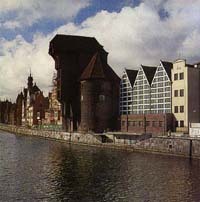 The museum has three branches outside Gdansk: the Vistula River Museum at Tczew, the Fisheries Museum at Hel and the Museum-ship "Dar Pomorza" in Gdynia. 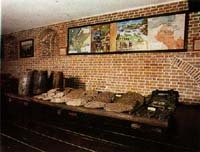 The Museum’s collections contain artifacts, documents and a library. The displays illustrate the history of port construction, boatyards and ship-building, the history of shipping and maritime trade, fisheries, the history of Polish yachting, marine art etc. The core of the collections consists of artifacts recovered during underwater explorations which the Museum began in 1965. To this end, the Museum set up a special department which has its own research vessel, conservation laboratory and team of diver-archaeologists. The Museum publishes several series of publications: "Proceedings..." which prints papers on maritime history, and "Publications..." which include guidebooks, information brochures and folders, as well as catalogues of the collections. The Friends of the Maritime Museum and Friends of the "Dar Pomorza" Societies are based at the Museum. The granaries, the main permanent display is housed in them. The medieval port crane – a unique monument of former port technology. Barrels, copper, iron bars, staves etc recovered from the Copper Ship which sank in Gdansk Bay in the 15th century. 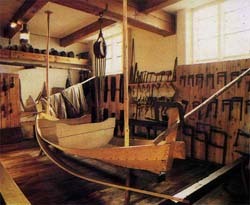 Boat builder's workshop in the Fisheries Museum, Hel.